The Chinese are coming. If you believe recent hype, we're keeping them out--or, on the other hand, if we're not, we should be. Scratch below the surface, the story is--thankfully--more complex. The Chinese are coming--setting up shop here in the United States--via one of three routes: acquisition of US assets, building new plants from the ground up or opening US retail stores for their own emerging brands. The first of those three paths is the one that tends to create headline anxiety for Americans--as it has in the past, when those arriving were the Japanese in the 1980's or, more recently, investors from the Middle East. In those earlier instances, as today, anxiety was coupled with fears of loss of American economic competitiveness on a global scale. Fears magnify anxiety. The net result: all arrivals are cast as menacing. So, in late December, when China's Huawei Technologies was found to have acquired patents earlier in the year from a Silicon Valley firm that was closing its doors--and not to have bothered to have informed the Committee on Foreign Investment in the US (CFIUS) (the Treasury Department office that approves such acquisitions)--angst predictably ensued. Senators intervened, alleging that Huawei has ties to the People's Liberation Army, the Taliban and Iran's Revolutionary Guard. The $2 million deal was unwound. There's more to the story--Huawei has a history, and the company bungled its end of this deal. But now China's Ministry of Commerce is on the offensive claiming the US is refusing Chinese suitors. Drafting on the news, an upstart European Private Equity fund, A Capital, made headlines last week by announcing that it had inked a deal for the first RMB fund for outbound investment by Chinese firms. The fund is targeting clean tech, environmental and transportation opportunities--in Europe only, partly because the US--they say--is a difficult place to do business. In fact, Chinese investment in the US was $5 billion in 2010, twice what it was in 2009. And Huawei itself is already a meaningful--and enthusiastic--player in the US market, generating over $800 million in revenues here in 2010 and employing over 1,200 staff. This gives perspective on the scale of its $2 million scrapped deal. From acquiring and modernizing industrial manufacturing outposts--partly in order to meet Made in the USA component requirements-- to building high tech, thin-film solar panel manufacturing facilities, to opening Li-Ning's first US store in Portland, Oregon (that's a sketch for their BD Defend shoe, above), Chinese investment in the US has been more multi-faceted--and more warmly received--than the headlines and rumbling from Washington might have one believe. To be sure, there are security issues to be aware of as China arrives--some of the investment comes via state-owned firms, some is directed at companies with high tech intellectual property at stake. China is not necessarily the friend Japan was when it arrived on these shores. However, this last point can be used just as easily to make the case for direct investment, as it can against. For--unlike transactions that take place in the nameless, faceless capital markets--direct investment forges human connections. Brad Williams, CEO of MVP RV in California, is connected to Winston Chung, thanks to Winston's $310 million investment in Brad's company. The midwest is connected to Fujian, China, thanks to a $46 million commitment by Fujian-based Mamtek to build a 600-employee sucralose plant in Moberly, MO. 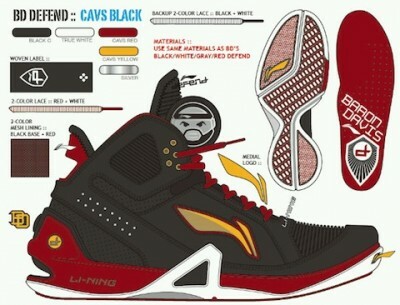 And NBA star Baron Davis is connected to young Chinese athletes and fans, thanks to his Li-Ning sponsorship. As the Chinese government encourages outbound investment, the Chinese currency inevitably appreciates against the dollar, the US recognizes the job-creating value of the inbound flows and China continues to develop globally relevant brands, the pace of Chinese investment in the US is likely to accelerate. The US can defend against the inevitable influx--or it can leverage the opportunity presented by the flows to forge stronger, deeper, more meaningful relationships at the personal level. Those are investments that pay dividends. Fortune ran a story last year on some of the US companies in which China has invested. You can see the photo gallery of the companies' employees here. And you can watch clips from Baron Davis' summer of 2010 trip through China below. In May 2011 Rhodium Group published a report in conjunction with the Asia Society entitled An American Open Door? Maximizing the Benefits of Chinese Foreign Direct Investment. The report and an interactive map outlining state-by-state and industry-by-industry levels of investment in the US by the Chinese is available here.